I’ve had a pretty good hot streak as far as predictions go lately. I successfully predicted the Eagles’ 1st round draft pick. I also picked the winning horse for the Kentucky Derby and Preakness by default (dig through my Twitter feed, it’s there on the day of the race). Many of my Phillies player predictions have come to fruition too (couple of those weren’t too accurate though). However, one recent idea that I had recently was completely wrong. I wrote about how the Sixers should miss out on the playoffs and try to get a lottery pick. 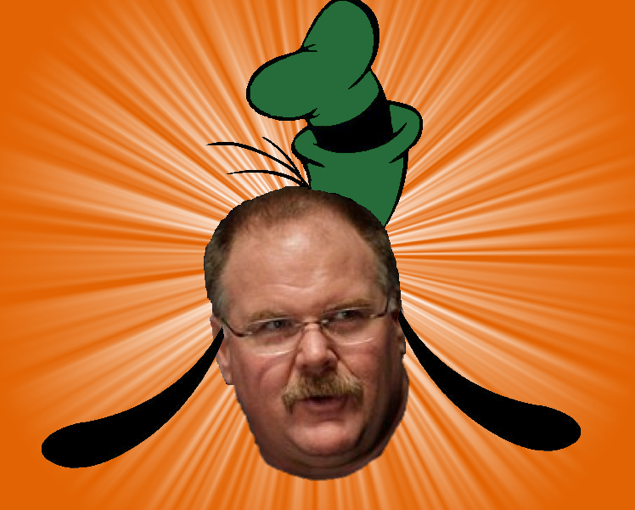 Needless to say, I’m a big dope (but it gives me another opportunity to use the Goofy Andy picture). I thought that the Sixers were capable of beating the Bulls. But, I forgot that the NBA does not re-seed its teams and thought that the Heat would be the Sixers 2nd round opponent. I still believe that the Heat will beat the Sixers if they happen to play. I don’t think the Sixers would win more than 2 games off of them. Hopefully, I goof again about that. The way the NBA is set up, it’s going to be very difficult for the Sixers to get much better than they are right now. However, if they can win on Saturday and get into the Eastern Conference Finals (! ), it’ll show prospective free agents that they have a reason to come to Philly. I’m proud of the job that the Sixers have done thus far. Hopefully, they’ll win on Saturday and give us a few more games to watch. Let’s Go Sixers and remember to always Show Ya Luv! 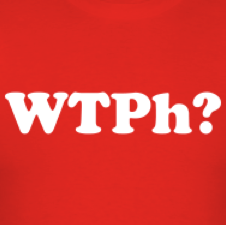 I added “WTPh?” shirts to the shop. The prices have also been lowered. Bargains!! This entry was posted in The Sixers and tagged 76ers, 99.99% accurate, Goofy, playoffs, Sixers. Bookmark the permalink.